Mapletree Industrial Trust’s results were in line with expectations. Mapletree Industrial Trust’s portfolio saw higher contributions, driven by Phase 2 of the BTS project for HP Singapore and its 40% stake in the portfolio of 14 data centres in the US. Maintain HOLD with a lower target price of S$1.94. Entry price: S$1.76. Results in line with expectations; maintain HOLD with lower target price of S$1.94, based on DDM (required rate of return: 6.9%, terminal growth: 2.0%). Mapletree Industrial Trust reported a 1QFY19 DPU of 3.00 S cents, up 1.7% y-o-y. Both gross revenue and NPI grew 1.2% y-o-y and 2.3% y-o-y respectively, driven by income contribution from Phase 2 of the Build-to-Suit project for HP Singapore and Mapletree Industrial Trust’s 40% interest in the portfolio of 14 data centres in the US, as well as compensation from early termination of leases, partially offset by lower occupancies across most property segments. Results are in line with expectations with 1QFY19 DPU coming in at 23.8% of our full-year forecast. 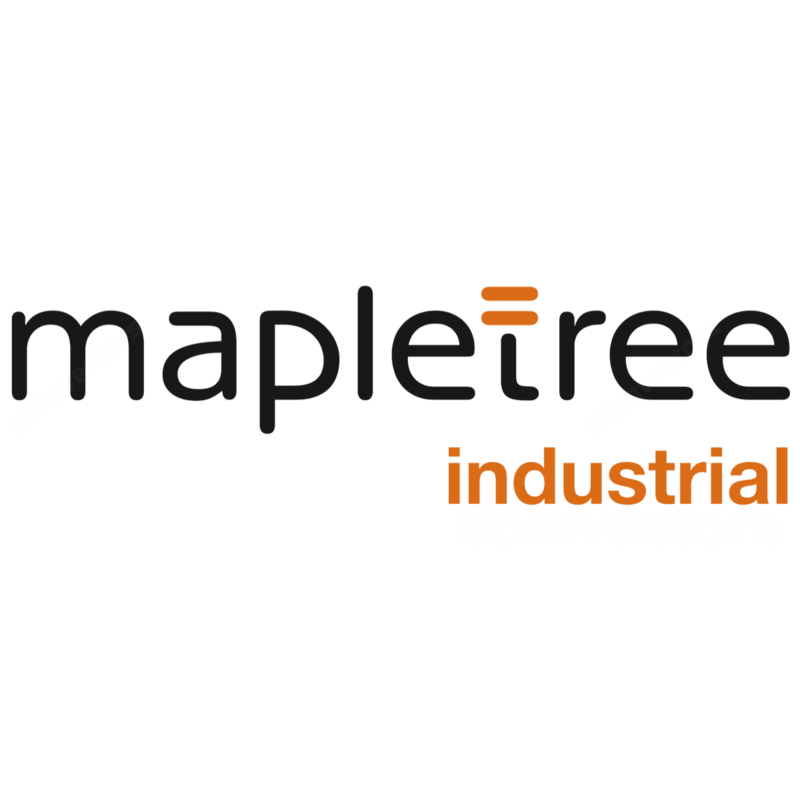 Mapletree Industrial Trust’s overall occupancy decreased marginally to 88.3% in 1QFY19 (vs 90.0% in 4QFY18), due to lower occupancy in the Singapore portfolio (87.8%), dragged mainly by flatted factories, hi-tech buildings, stack-ups and light industrial buildings. Occupancies across the various segments were affected by large supply of industrial space and an uneven recovery in the manufacturing sector. The increase in leasable area upon completion of the AEI at 30A Kallang Place also resulted in a drop in occupancy for the hi-tech segment. Meanwhile, US portfolio occupancy was 97.4% (flat q-o-q). Mapletree Industrial Trust’s Singapore portfolio had a WALE of 3.5 years, while the US Portfolio had a WALE of 5.8 years. The US portfolio accounts for 9.5% of the portfolio value. Singapore portfolio saw gross asking rents rise 0.5% q-o-q to S$2.02 psf pm, while the US portfolio’s asking rent was flat q-o-q at US$2.01 psf pm. Gearing increased marginally to 35.0% (vs 33.1% in 4QFY18). On our estimates, Mapletree Industrial Trust still has a potential debt headroom of S$583m (assuming maximum gearing of 45%). Mapletree Industrial Trust also has 77.9% of its total debt in fixed rates (vs 85.1% in 4QFY18). Singapore industrial rental outlook remains challenged. Despite the positive economic outlook, the operating environment remains challenged due to uncertainties from the heightened global political and trade tensions which continue to threaten the projected growth momentum, as well as continuing supply of competing industrial space. Management's focus is on tenant retention to maintain a stable portfolio. Promising outlook for US portfolio. Management continues to hold an optimistic view on demand for leased data centre space, which is expected to be driven by the movement towards cloud and outsourcing, need for data to be stored close to end-users as well as geographical diversity. They highlighted that between 2017 to 2022F (from 451 Research), demand for leased data centre space (by net utilised sf) in the US is expected to grow at a CAGR of 8.7% (vs CAGR of 6.8% for the supply of leased data centre space by net operational sf). Maintain HOLD with a lower target price of S$1.94. Our valuation is based on DDM (required rate of return: 6.9%, terminal growth: 2.0%). Entry price: S$1.76.